You’ll probably agree with me that it’s very sweet to be an entrepreneur. You have nobody to threaten you with sack letter, you have no one to beg. You have total and absolute freedom for your life. When I compare entrepreneurs’ lifestyle with that of employees, it’s like comparing water with fire… they are both opposite stuff. Worse still, earning salaries that are not enough to take care of their needs? Would you like to live the rest of your life in this terrible state? It is NOT even because the economy is bad. The reason why you’re not a successful entrepreneur today is because you were never trained or encouraged to be an entrepreneur. You spent more than 20 years of your early life in schools where nobody taught you how to start a successful business. But my story is different from that of many people. My story is different because I knew the way of entrepreneurship, very early in life. I was in High School (J.S.S 2) that year yet, I was challenging the concept of being an employee. As a young boy, I was not thinking of entrepreneurship because I was born rich. I was born in worse situations than most people. 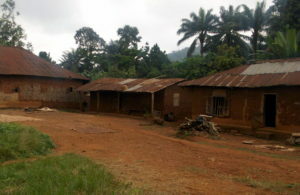 Did you grow up in a bad place as this? That is not the worst part of my story. 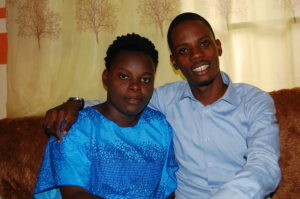 I was born with a strange genotype (SC), so I had to be terribly sick 2-3 times every month. I was still a sickly boy when I started my first business. By the time I would be 18, I had started about 4 businesses of my own (though small businesses). At age 21 when I was leaving school (as one of the best students), I decided NEVER to collect my result or certificate from school. 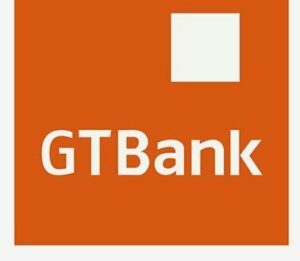 I was advised to work for The Skye Bank of Nigeria but I rejected the offer. I wanted to become a successful entrepreneur or die! I hated being an employee. 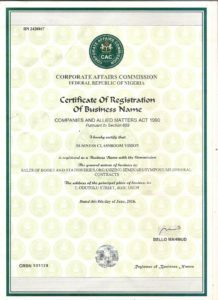 Today however, I have my company (BCV) operating from Lagos (Nigeria) and doing business in more than 13 states of Nigeria. How did I move from one of the worst villages of the world, to become an entrepreneur with company worth millions, operating from Lagos? How did I move from being a sickly boy, to being someone thousands of people wish to have as friend? How did I move from the time I started my first business with #2,500, to a level where I am starting a business with millions? To tell you it was easy is to tell you a lie. At the same time, to tell you it’s impossible is to deceive you. I usually laugh at people who were born in a town/city, healthy and strong, yet, today they are poor and complaining. If someone like me, who was born in a quark village, went to quark schools, was a sickler, could end up where I am today, what excuse do you have? The only problem you may have is that, maybe you were never taught how to start a business and make it successful. Give me 9 days and I’ll train you how to start, run and build a successful business in any country of the Africa. For the next 9 days I will hold you by the hand and teach you. I will train you how to avoid the mistakes I made when I started in the business world. I will train you how to use the formulas I used to succeed in the little way I have succeeded. 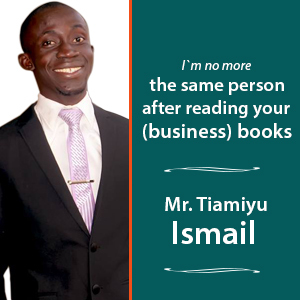 I will train you base on the business knowledge I have gathered from reading hundreds of business books and learning from my business mentors. In all, my goal is to train you how to start and run your own successful business in any country of Africa, even in this recession and bad economy. I am NOT promising you that I can teach you how to become a millionaire next week. and I am NOT telling you that I am a millionaire. No. I am NOT a millionaire. I am just an ordinary man who tried extraordinary things, have some success and now revealing the secrets of business success to my fellow Africans. 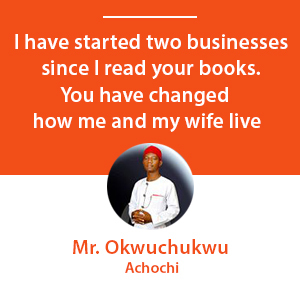 I Would be taking you by the hand and showing you the tactics and hidden strategies you need to know, in order to start your own successful business in this bad economy. I am sure you want to ask me some questions, right? (If you click on the above “Register Now” button, you can register NOW, easily with your ATM for our 9-day intensive business training). Who can be part of this business training? Any African (man or woman) who is very serious about starting his/her own business and becoming a successful business owner. Where will this training take place? Is this business training for Africans alone? Yes. However, you can attend this business training from anywhere in the world (as an African), as long as you have a phone or laptop and an E-mail address. What form will this business training take? Reading training, (in PDF) which your phone or laptop could read. This business training will be delivered to you through the above 2 forms. What do I need to be part of this business training? We’ll arrange another means for you to be part of this 9-day business training. What if I don’t have a phone or laptop? Sorry, you cannot be part of this business training if you don’t have a phone or laptop. How long will this business training be? 9 days + bonus days. Will I have to leave my work or travel to anywhere to attend this business training? Not at all. You could continue your normal daily work and activities. All you have to do is to create about 20-30 minutes each day to go through the day’s training module. This 20-30 minutes could be when you wake up in the morning, as you’re inside the bus to your work, when you have lunch break at work, when you’re returning from work or at the evening, after the day’s work etc. 10. What if for a reason I missed a day’s training module? No problem! Your day’s training module would be inside your E-mail inbox (every morning). You can go back to it the next day or anytime. It will always be there. How long will this business training modules be (remain) inside my E-mail inbox? 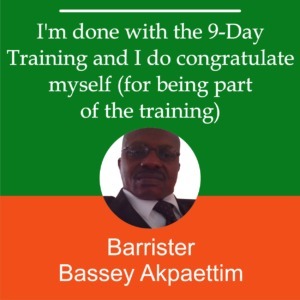 After these 9 days business training, you could go back and revise the whole training all over again. What form does this business training take? This training will take two forms. We have a part of this business training that are in video training modules and we have designed these videos in such a way that you could watch them through your phone or laptop, with minimal browsing data. There are other parts of the training that are in reading modules. These reading modules are in PDF format. You could read them with your phone or laptop. What and what will I learn from this 9-day intensive business training? Starting a business is not a problem. The real problem is in making money from your business. Register for this 9-day business training to see an important step you must take to make your business successful. To make your business profitable in Africa, you have to be smart, strategic and tactical. Most Africans don`t know how to go about this. 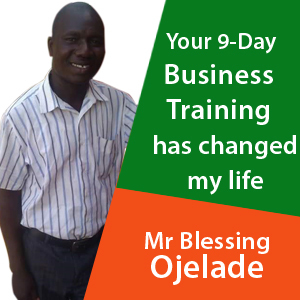 I will teach you during this 9-day business training. How I started my first business when I was only age 15 and what you must learn from how I started, if you want to start a business in Africa. 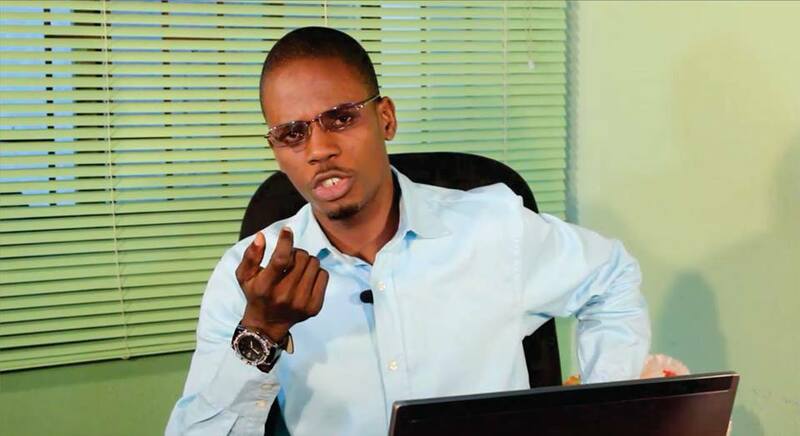 Governments, news agencies and other people in Africa are advising you to be self-employed. That`s a bad advice. You don`t have to be self-employed. You have to be an employer of labour and a giant business owner. You`ll learn how to achieve this through this 9-day business training. What you don`t know, which is the reason why you have not been able to start your own business till now and how you can start right now! How the bad things that are happening in Africa can help you to start your own business. 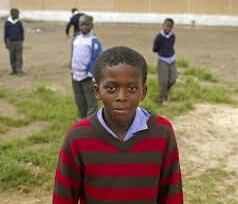 Believe me, some people are already taking the advantage of the ugly situations of Africa to be rich (by solving some national problems and make money doing so). This business training will teach you how you can build a prosperous business, despite the ugly situations around you. The biggest mistake Africans make whenever they want to start business which is the reason why they fail. You have to know this mistake or you too will fail in business. The secret three warriors (Hernan Cortes, Emperor Julian, and Agathocles of Syracuse) used in 1519 AD, 363 BC and 310 BC respectively to win tough battles, how I used the same secret to make money in business and how you can use the same secret to make money in Africa tough business environment. How to make much money from business in any country in Africa without inventing a new thing, provided you will follow my teachings inside this business training. What African successful entrepreneurs know about business which make them succeed but which they will never tell you. This is actually not a secret. You just don’t know it until now. Just as you cannot win a battle if you’re not having war strategies, you cannot have a lucrative business in Africa if you’re not having business strategies. Register for this 9-day practical business training to know how to get business strategies that will make your business profitable. There is one business book I came across in the year 2008 and I still revisit it till today because the book has taught me so much about business. Every Africans who want to make money from business must read this book! I will tell you the name of this great business book during these 9 days. How to avoid running back from business. Many Africans have started business and ran back because they didn’t know what is inside this 9-day intensive business training. How I turn my talent to business and make money and how you too can turn your talent to a profitable business in any country on Africa. Must you lie before you can make money ? No. I don’t lie and I make good money in. I will reveal to you what most people don’t know which make them think that they have to lie to make money. Do you know that in a survey, more people said that they love the taste of Pepsi than the taste of Coca Cola? Yet, more people are buying Coca Cola than Pepsi. Why is this so? There is a secret Coca Cola uses which you too have to use to sell hundreds and thousands of whatever products/services you`re selling, even when you have competitors. 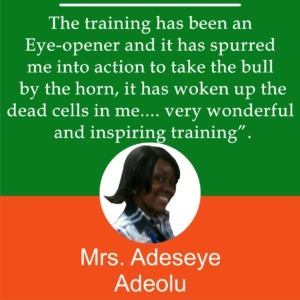 If you don’t know this secret, just forget your dream of making money through your business in Africa (Fortunately, you can discover this same secret before this next 9 days through this business training). As you want to start your own business in any country of Africa, what is the best thing to sell? The mistake my close friend made that made him to fail in business and how you can avoid the same mistake, so you won’t fail in the business you’re about to start. One thing Dangote and every Africans successful business men/women do to make money in Africa, but which they may never tell you. I too do this and I’m willing to reveal this to you during this 9-day business training. Do you know what marketers call USP? If you don`t know about USP and how to use it to start and make a business profitable, then why do you want to start a business? Don’t try that or else you will waste your money. Register for this 9-day business training to know about USP and how to use it to start, run and make money from business, in any country of Africa. 9 ways by which you can win your competitors and build a profitable company. I’m NOT teaching you theory here. I did it in a business I started in September, 2012. I had a little success, because I didn’t do it right. I however used this same tactic again in April 2014 and I’m still using it till now and enjoying its great reward, so I know what I’m saying. One important business “secret” I taught two of our African entrepreneur “students” on phone in the last few months (about starting a business). I will teach you the most important thing I taught them during this 9-day practical business training. Most Africans who are starting business think they must sell their products and services at lower prices if they will attract people to what they are selling. They cannot be rich in the business world that way. You don`t have to sell at lower price. 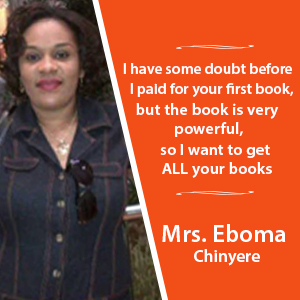 Just do what I will teach you during this 9-day, practical, intensive business training and you will be able to sell at normal (or higher) prices and your customers will even rush to buy from you. Samsung phone is always more expensive than Tecno. People rush to buy Apple products, even if it’s expensive. MTN sold Sim cards for #20,000 and you rushed to buy it. How do they do it? Any magic? This business training will reveal their secrets to you. 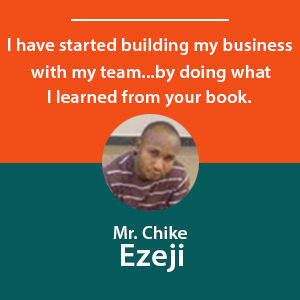 There are so many other practical business secrets, strategies and tactics that will train you how to start, run and make a lot of money from your business inside this business training. So, How Much is This 9-Day Intensive Business Training? The registration fee for this 9-day business training is #25,000 (if you’re not in Nigeria, this is about 57 dollars. However, you can get this 9-day business training on discount, for now. If I’m outside Nigeria, will I pay in dollars? 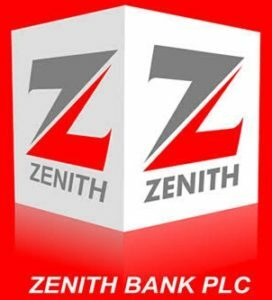 No matter where you are in Africa (or outside Africa), you can register for this business training EASILY with your ATM card and your bank will charge you in your own currency. You can easily use your debit or credit card, Master card or Visa or Verve. So how much is 9,000 Nigerian naira in my currency? If you’re in South Africa, that’s a about 370 Rand. If you’re in any other part of Africa or the world, simply convert 27 dollars to your currency and that’s how much this training goes for at the present discounted fee. 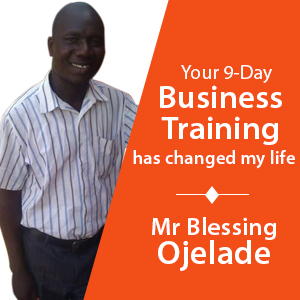 You can easily register for the 9-day business training now, with your ATM card, in just about 3-4 clicks. 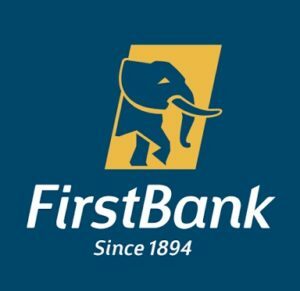 Or visit our head office at No 9, Hakeem Ogbara Str., Oke-Oriya, Ikorodu, Lagos State. We want to assure you that you have nothing to worry about concerning our business training. 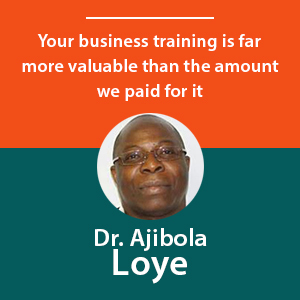 However, if for any reason you`re not satisfied with our business training program, kindly let us know. Or visit our our head office is at No 9, Hakeem Ogbara Str., Oke-Oriya, Ikorodu, Lagos State. … Our Mission is to Train You How to Become a Successful Business Owner!